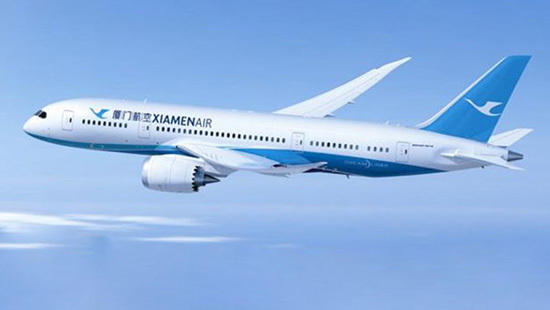 Exciting news to all our travel buddies and businessmen out there, Xiamen Airlines has launched its first test flight to Davao City on September 28. 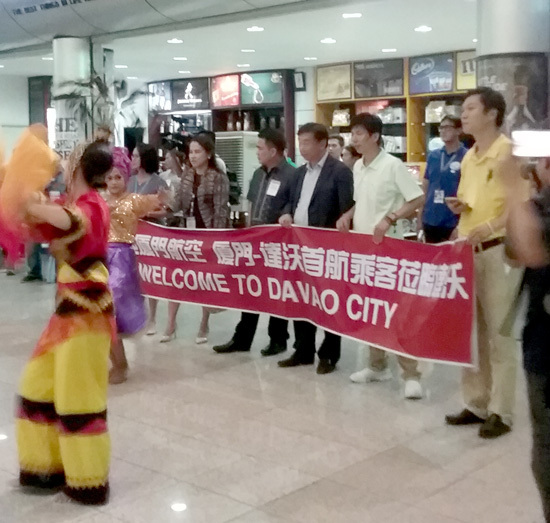 Around 80 businessmen and other Chinese tourists who have roots in Davao City were on board the first flight that landed Francisco Bangoy International Airport around 7 in the evening. They were welcomed with a cultural dance presentation and a number of representatives from the Chinese community of the city. Eden David, DOT Mindanao OIC along with the members of Davao Chinese and business community welcome guests onboard Xiamen Air upon arrival at F. Bangoy International Airport. This initial flight was made possible through the efforts of DOT Secretary Wanda Teo and Uni-Orient Travel, Inc. VP Wilson G. Techico along with other Chinese Tour Operators who have discussed early on this maiden flight to Davao. The Secretary is very supportive in providing assistance to the group as this will be another accomplishment under the Routes and Development Team of the Department of Tourism. In a short press briefing shortly after the welcome ceremony at the airport, Wilson Techico said that they are strongly pushing for the Xiamen-Davao-Xiamen flights as they see there is a good market for this route, as there are a good number of Chinese nationals who are Davao-based. This test flight was only promoted through Social Media in Xiamen and was received quiet well. The next flight is scheduled October 5. It can be noted that China ranks fourth in the foreign arrivals coming to Davao with around ten thousand from January to March 2016. China also provided the biggest inflow of international travellers to South East Asian nations with over 13 million tourists in 2014, representing the biggest source of traffic to most ASEAN member countries.